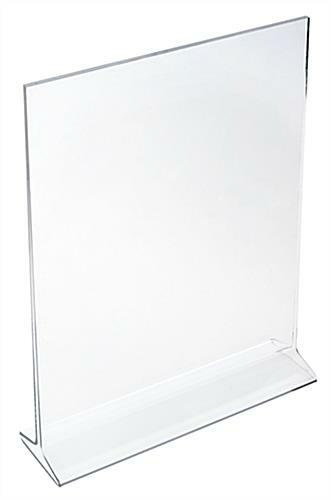 This acrylic sign holder has an open top style and holds two standard 8.5" wide x 11" high paper for double sided viewing. The top loading allows for easy changing. 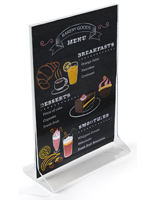 This sign frame is made in vertical orientation for easier and clearer view of the graphics within the display. 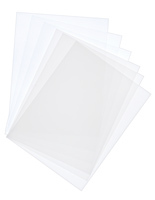 The paper slips in easily through the top as well as the sides. 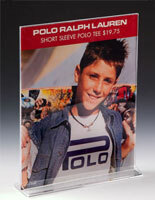 This acrylic display is a true essential for any retail store, restaurant, school, or business of any kind! 8.3" x 16.0" x 2.5"
8.5" x 0.75" x 0.25"
Hi Donald! We're glad that these sign holders have consistently held up well for you, and we appreciate you taking the time to recommend them. Thanks for the review! Thanks for the excellent review, John! 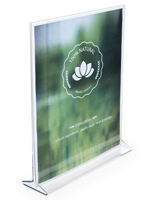 We're proud to make this acrylic sign holder at our in-house Workshop, and we're thrilled that you love our product. 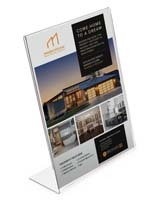 Here at our agency we create a lot of signs and flyers for various events and fundraisers. 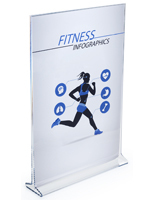 This is a great way to display the information without being overbearing. These sign holders are all over our agency. Thanks! Thanks for the excellent review, Starranda! 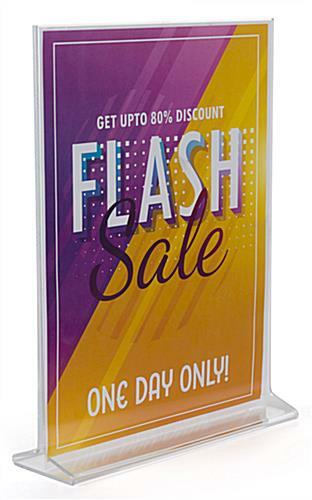 We're happy to hear that these sign holders are decorating your agency with signs and flyers in a way that compliments your space. 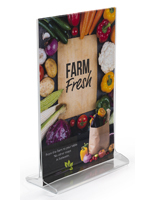 We hope you continue to use Displays2go for your agency's display needs! I've been purchasing from Displys2Go for a few years and have yet to be disappointed. 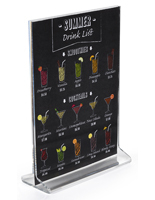 These acrylic sign holders are great. They look good and they're strong. Thanks for the review Fred! Your sign looks great! 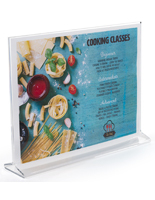 This product was not only cost effective but of great quality. The items were delivered before anticipated. Would do business with this company again. I have never received an item from them that wasn't exactly as described.